Those who thought rich white kids were the only recent contaminates in Brooklyn’s Bedford-Stuyvesant neighborhood are in for a surprise. Polluted drain water is making its way into Newton Creek, and new plans are coming out to help divert it. 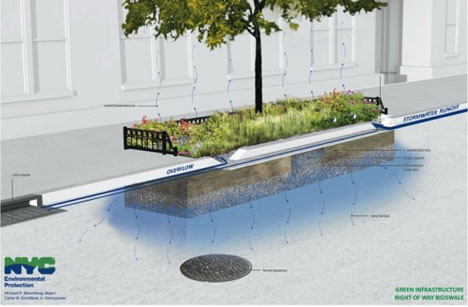 The NYC Department of Environmental Protection will add green infrastructure to eastern Bed-Stuy to prevent sewage overflow from running into nearby Newton Creek. 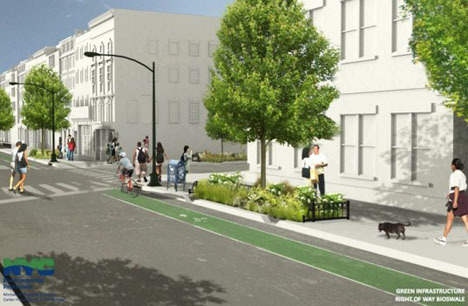 Relatively cost-efficient green infrastructure systems like bioswales, vegetative buffers, rain gardens and landscaped diversion ditches are possibilities. Funding for the projects will come from residents’ water and utility bills. Specific locations have yet to be designated, but New Yorkers are already seeing small green dots that mark potential sites. See more in Earth & Nature or under Science. December, 2013.